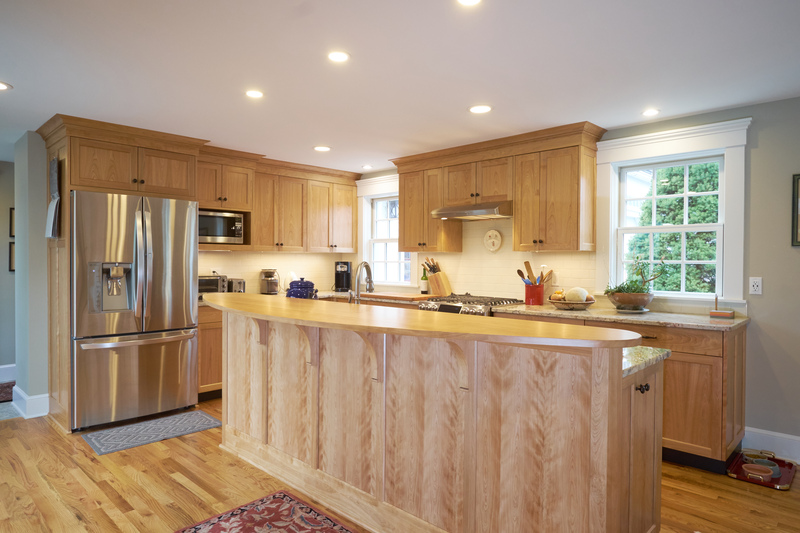 A remodel of this 1720 home transformed the attached carriage house to a bright kitchen complete with walk-in pantry, sitting room, and spectacular views of the local vineyard. 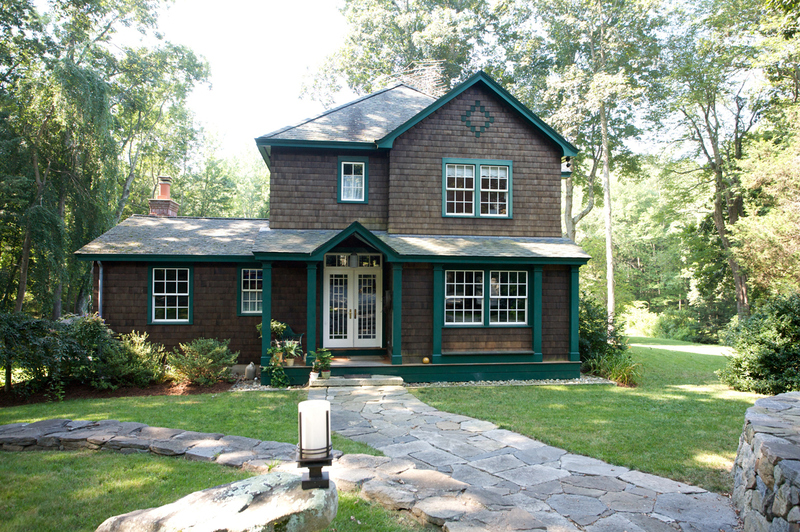 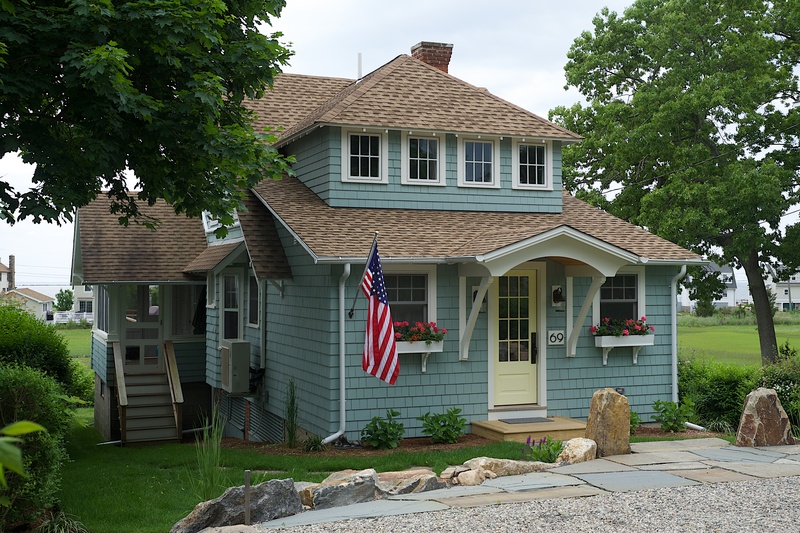 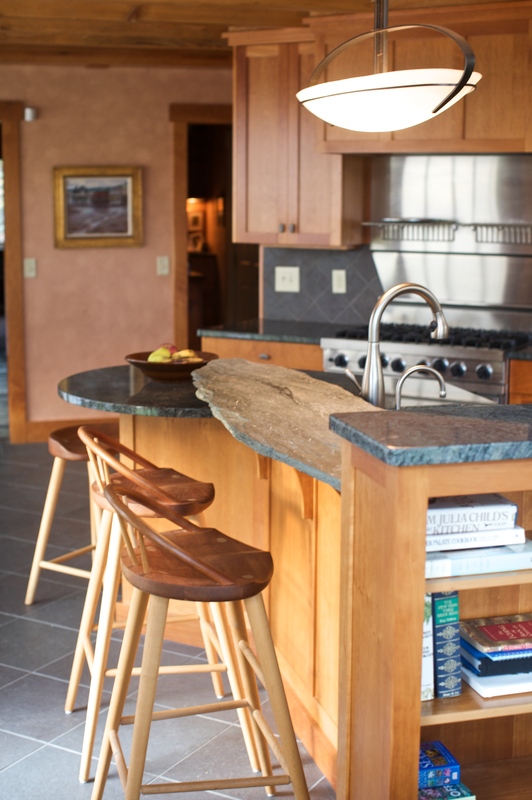 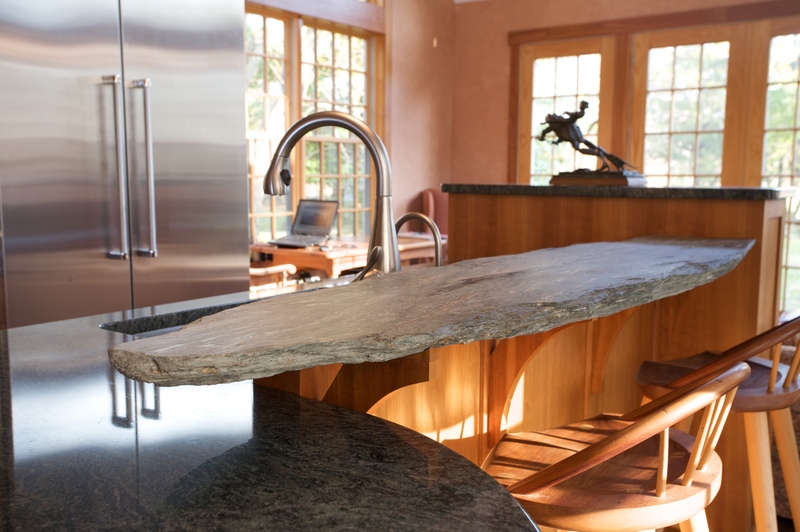 An island was designed to accommodate a unique piece of slate that had been rescued many years ago by the homeowner from the Atlantic Ocean in Rhode Island. 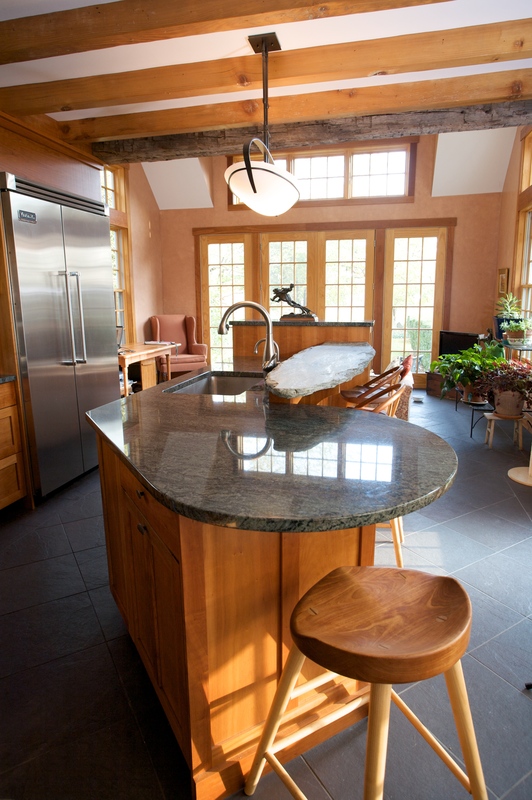 The tri-level island houses the sink, dishwasher, recycling drawer, 42″ high informal dining, and 48″ high bookshelves. 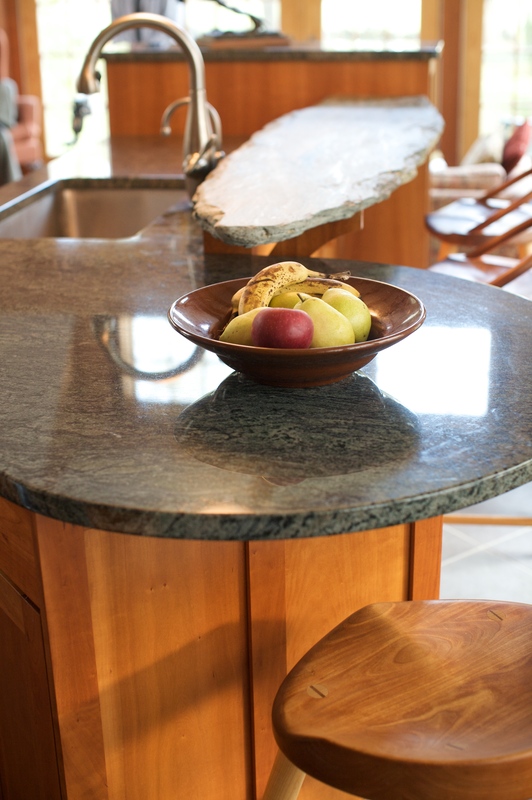 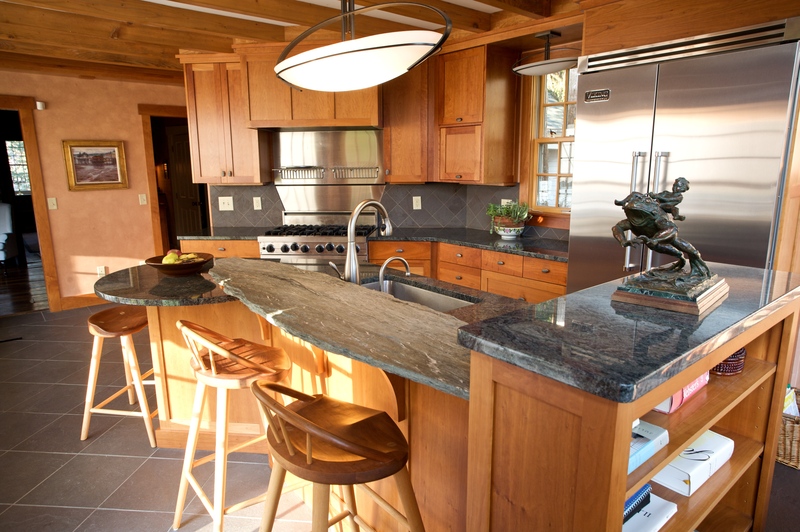 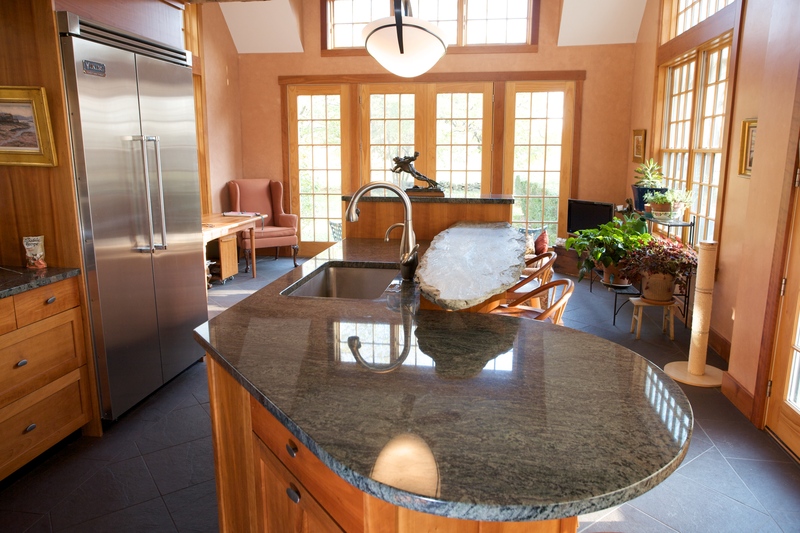 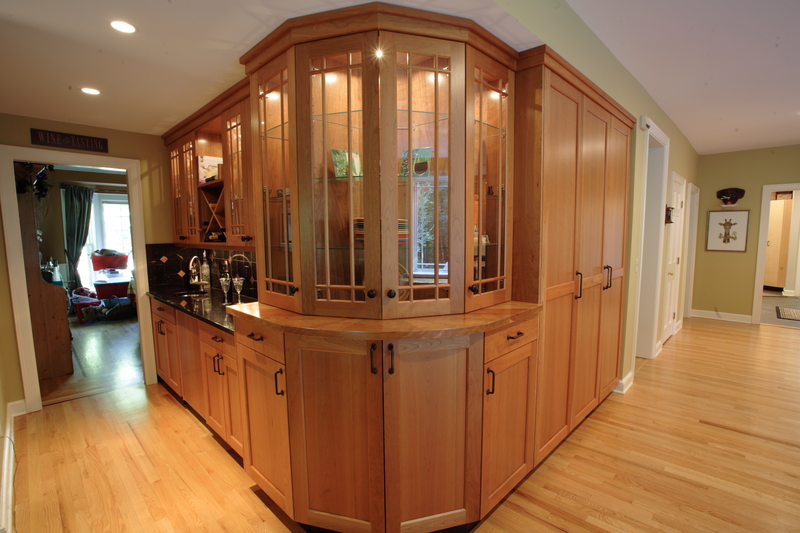 The cherry cabinets are topped with granite, while the eating bar takes center stage with the honed slate.